Administrator of ISS office and Advisor to the International Student Organization. Brooke is an Alternate Responsible Office (ARO) and Designated School Official (DSO) for the J-1 and F-1 scholars and students. She processes and advises visiting scholars and issues the DS-2019s. She also processes OPT STEM Extensions and requests for OPT. Brooke completed her dual-bachelor of International Trade and Business Administration at Xi’an Shiyou University and Troy University. Brad is the International Student Advisor for the OSU-Tulsa and OSU-CHS campuses. As a Designated School Official (DSO) and Alternate Responsible Officer (ARO), he advises F-1 students and J-1 scholars on immigration regulations including but not limited to OPT, STEM OPT, and transfers. Brad also is an Academic Advisor for Mechanical Engineering students at OSU-Tulsa. Before taking this position at OSU-Tulsa, Brad worked at the International Students and Scholars office at OSU-Stillwater where he worked at F-1 students and J-1 students and scholars. Brad received his Bachelor of Arts degree from Oklahoma State University. In his free time, Brad enjoys international travel, experiencing new cultures and cuisines, watching TV, and spending time with family and friends. Trisha is responsible for Work Permits for all international students, scholars, faculty and staff. Guidance is given for the completion of Forms W-4 and I-9. She also facilitates tax treaty exemptions. Other payments to our international community that might be taxable, such as scholarships and fellowships, honorariums, and royalties, must be also be evaluated and approved by her. Trisha conducts tax workshops in the spring for international students and scholars. Trisha has undergraduate degrees in Finance and English, and a master's degree from Oklahoma State University. Her research focuses on educational issues related to the Indian diaspora. She joined the International Students and Scholars Office in 2009. She serves as the advisor to the Indian Student Association and facilitates the Indian Leadership Workshop Series. Trisha has presented at multiple NAFSA conferences and the OCSPA Conference on topics including immigration, microaggressions, and cultural programming. In her spare time, she enjoys attending OSU sporting events with her family. Regina is the Primary Designated School Official (PDSO) and the Responsible Officer (RO) for the F1 and J1 students and scholars. She coordinates the H-1b (temporary worker) and Permanent Resident applications for faculty and staff at the university. Regina has a Bachelor of Science in Political Science/International Relations from OSU. She has close to 40 years of experience with immigration. Karen has worked in the field of International Education and Exchange for nearly 25 years at Oklahoma State University. She works exclusively with 300+ sponsored students and their Embassies and/or Agencies providing specialized services above and beyond that of regular university programming. Karen serves as one of the immigration officers in the ISS Office for sponsored students on J and F visas. Karen earned a BS in Marketing with a Minor in Management from Oklahoma State University and has served as the Coordinator of Sponsored Student Programs since 2006. 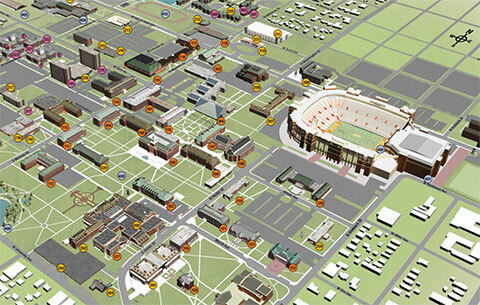 Prior experience at OSU includes the Office of International Programs and the School of International Studies. Karen loves meeting new people. Her favorite hobby is traveling with her family to experience new cultures and cuisines. She also enjoys horses, country music and the outdoors. Vivian Wang is responsible for the university's program development with China. She is the point of contact for multiple Chinese partner universities, facilitates understanding and collaborations between OSU departments and Chinese partners. Vivian works closely with OSU current Chinese students and provides advisement for their success at OSU. Vivian also serves as Co-Advisor for Chinese Friendship Association. 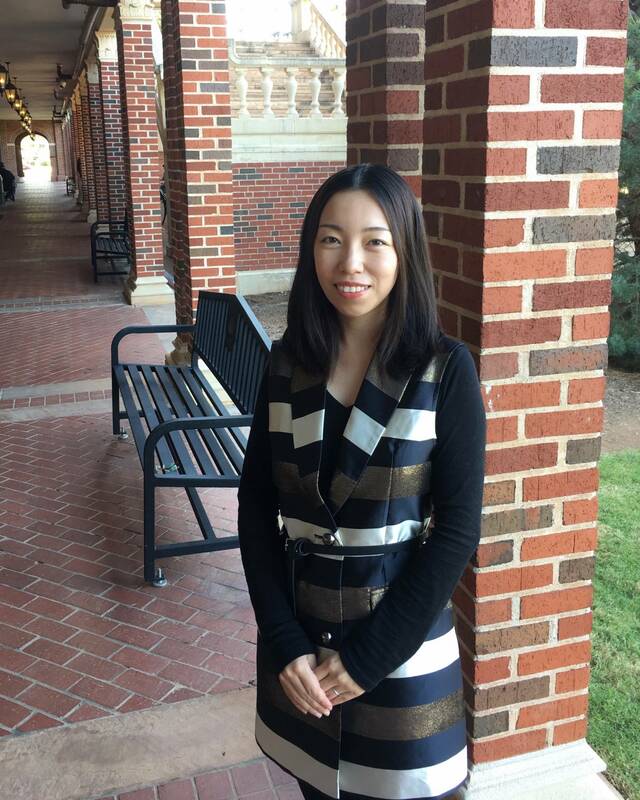 She received her bachelor’s of Arts degree in English Education from Shanghai Normal University, MS and Ph.D. in Public Policy and Educational leadership at Oklahoma State University. Joel is a Designated School Official (DSO) for F-1 students and scholars. He advises all F-1 students and assists them their immigration, OPT and STEM Extension OPT questions. Joel also manages transfer students and concurrent enrollment. Joel has a Bachelor of Arts degree from Oklahoma State University. He enjoys international travel, experiencing new cultures and cuisines and spending time with family and friends. Joel completed his Bachelor of Arts Degree in World History at Oklahoma State in 2008. Before working at the International Students and Scholars Office, Joel worked as an admissions officer in the Graduate College at Oklahoma State. In his spare time, Joel enjoys cooking, reading, and video games. Jennifer is the Accounting Specialist for Sponsored Student Programs. She works with sponsored students to ensure that their sponsorship funds are correctly applied and help students comply with the policies and rules of their sponsorship programs. Jennifer completed her Bachelor of Science Degree in Sociology at Oklahoma State in 2011. Then completed her Masters of Arts in Anthropology at University of Brighton in the UK in 2013. Before working at the International Students and Scholars Office, Jennifer worked as a Financial Assistant in the Student Union Administrate Services Office at Oklahoma State.